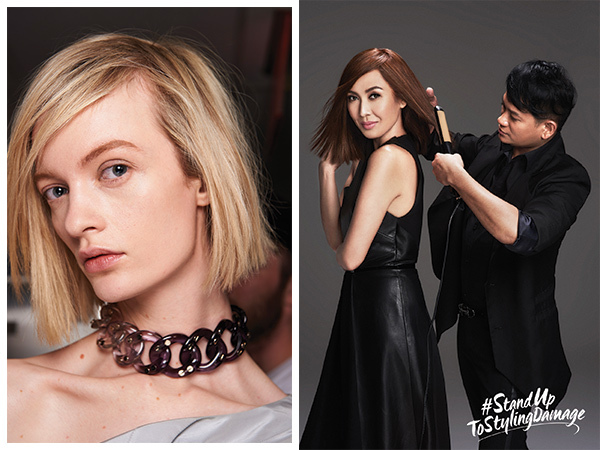 Get some style tips and hair ideas from Tricia Gosingtian, Liz Uy, Martine Cajucom, and hairstylist to the stars, Lourd Ramos. Hair, makeup, and fashion go hand in hand. While we’re all for keeping up with the latest trends, when it comes to styling your tresses, you better do it right—lest you end up damaging your crowning glory. Below we’ve listed three grave hair styling sins you might be committing and how you can avoid them. Heat styling can really damage your hair, but to put your locks through trauma while still wet is a whole new level of torture. Hot tools can turn the moisture in your hair strands into steam, and the high temperature damages the cuticle and leaves your hair brittle. Frizzy, fried hair that's prone to breakage? No, thank you! Hair coloring is a process that takes a toll on your strands, especially when going from a darker shade to a lighter one since some bleaching is involved. The chemicals used (especially hydrogen peroxide) can strip your hair of moisture and leave it dull. Without the right conditioning treatments, your hair texture changes (meaning you could lose natural curls or waves) and your strands will dry out. Those ringlets may look absolutely divine, but curling your hair with an iron entails heat, and as we’ve mentioned, heat can be your hair’s worst enemy. Regular use of hair irons can make your strands more prone to breakage and split ends, and you need to revamp your hair care with the right serum to make sure your tresses are protected, healthy, and gorgeous. 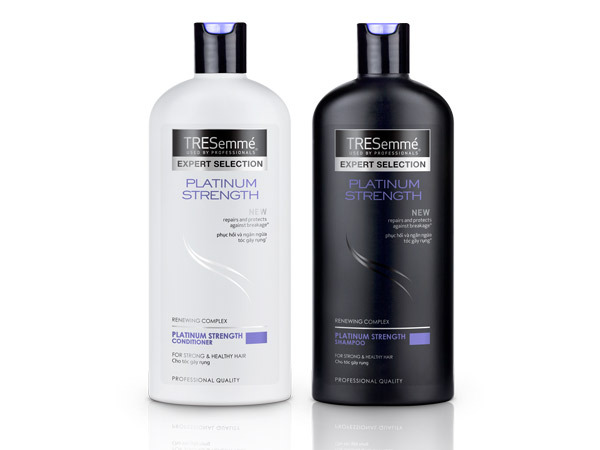 Lourd Ramos, one of the hottest professional hairstylists today, adds that you can apply some heat protection serum, like TRESemmé Platinum Strength Heat Serum, before heat styling to ward off hair damage while sealing in and maintaining moisture and shine. This is perfect advice when you’re trying to pull off the elegant and chic, long bob—like "Uptown Sleek" as seen on the Carolina Herrera Spring/Summer 2016 #NYFW show. If coloring your hair will always be part of your fashion statement, work on ways to revitalize your mane to keep it strong and shiny. Take the time out of your busy schedule for treatments like a weekly renewing hair mask. Tricia Gosingtian, a fashion girl who's known for constantly switching her hair hues, swears by TRESemmé Platinum Strength Treatment Mask. It gives your chemically-processed locks the moisture it craves for a smooth and healthy look, it even helps protect your strands from future damage—like when you’re trying to achieve beautiful "Copper Waves" as presented at BCBG Max Azria. Before whipping out your curlers, make sure that your locks are all set to stand up to styling damage. 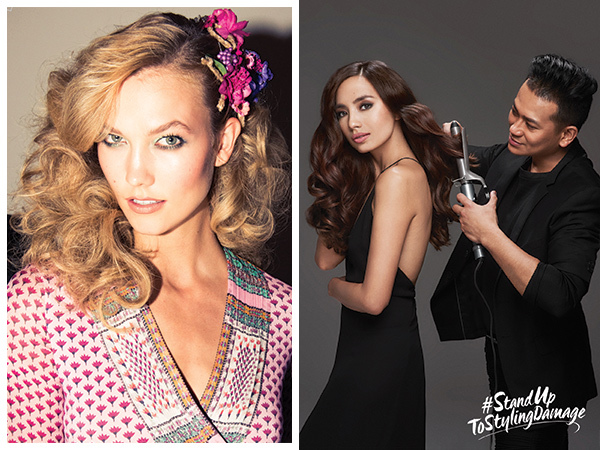 Take your cue from Martine Cajucom, who's always spotted with perfectly tousled waves or gorgeously defined ringlets. 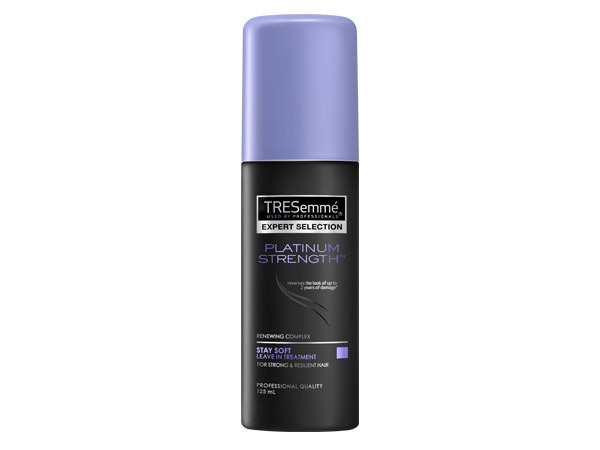 While your hair is still damp, take two to three pumps of TRESemmé Platinum Strength Stay Soft Leave In Treatment, and work the product through the length of your hair with your fingers or a comb. The serum will strengthen and protect your mane from the heat and curling stress that come with a hairstyle like Diane von Fürstenberg’s "Signature Curls." No matter which styling techniques you do or which hairstyles you want to try, make sure your hair care routine helps you #StandUpToStylingDamage. 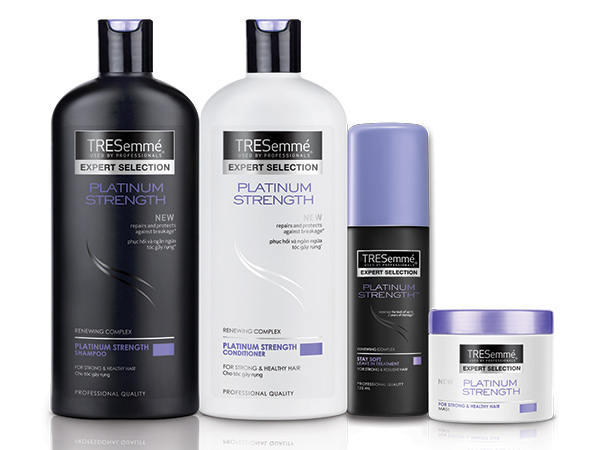 For the best way to restore and ensure that your tresses are protected against past, present, and future styling damage, give the complete TRESemmé Platinum Strength hair care line a try. 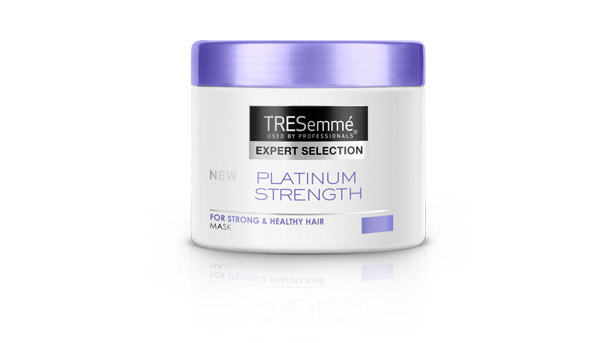 It has a special Renewing Complex that promises to repair up to two years’ worth of damage and reinforce your hair’s natural protective barriers, which will help you look salon-gorgeous every day, and more importantly, help your hair #StandUpToStylingDamage.